Who said small talk can’t lead to big things? Thirty-odd years ago, our founder, John Callaghan, struck up a conversation with a group of students on a flight. This chat sparked the idea to organize student volunteer trips to Jamaica and eventually Haiti, which is where we focus our efforts now. 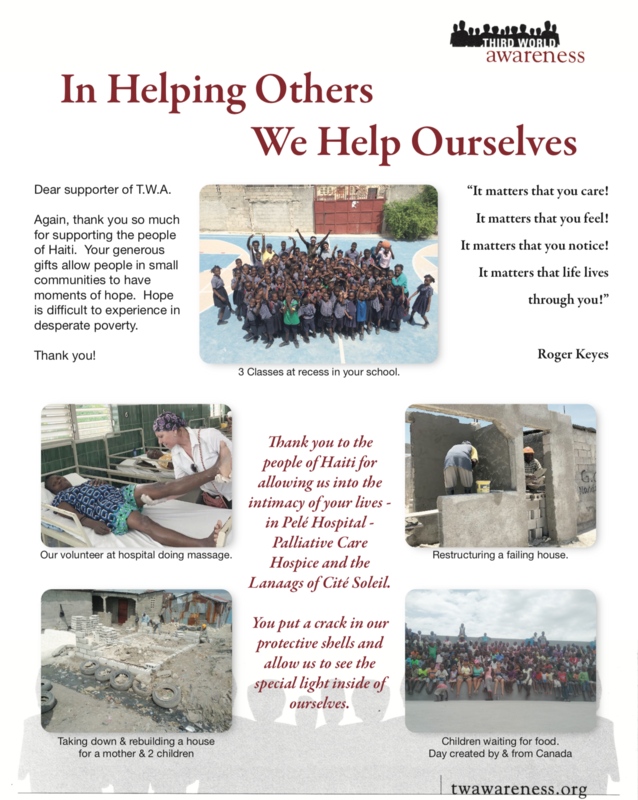 We have completed over 25 volunteer trips in Haiti, built schools and programs, helped families in need and provided support to communities. Read the article below on how the small talk made an impact on thousands of lives. 2017 – This trip to Haiti had a number of highlights. We returned to the Malnutrition Clinic where people worked faithfully helping with the basic care of young children. Some of our volunteers also worked throughout the trip at the Pele Hospital. And this time, we were fortunate to have both a massage therapist and a reflexologist volunteering at the hospital. We, at Third World Awareness, believe it’s a human right to have a free and accessible education. The construction of our new school in Canaan is moving along steadily. Windows and doors have been added along with plumbing and wiring. What started as a small dream by a small group of students in Toronto, is now becoming a reality. This is all made possible with the generous support from donors, volunteers, friends, strangers – and of course, the unwavering dedication of our board member, Serena Buffalino. We also had a wonderful afternoon on the roof of the school in Canaan. Many children without a school were encouraged to come to enjoy food, art, balloons and kites and to walk through the school. It was truly a joyful experience. We can’t wait to open our doors to hundreds of students! Our work in Cité Soleil continues to grow. Our two-story school now has its doors open on the weekend and operates as a community centre. We have also continued to build a shelter for children and roll out an enrichment programme, including soccer, art, and dance. This is an ongoing project and we are going to raise funds for this program as we recognize the importance and value of sports and art. There are several initiatives we are passionate about, and with the help of our supporters, we are able to make some incredible things happen. Through a special donation of food from a generous donor and with the help of the community leader, Young Daddy, we were able to serve about a thousand plates of dinner on Flag Day. 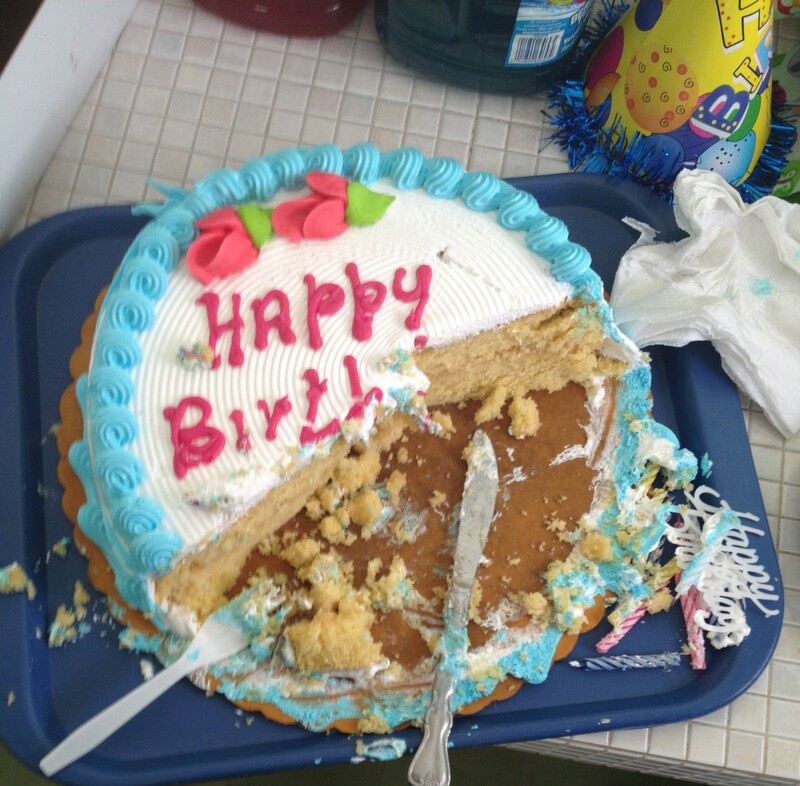 It was truly a day of celebration and smiles. We start every morning early and work tiredlessly through the heat, but on our off time, we unwind and enjoy the culture and beauty of the city. We continued to have a couple of speakers at night and we had a wonderful concert courtesy of Woodson, a beautiful singer from St. Joseph’s House. And for the first time, ever we walked through the centre of La Saline Market – what an experience! We also spent an evening at The Lookout, where we enjoyed the glistening view of the city, and another at the Olofsson Hotel where we danced away to Haitian music! We keep coming back to Haiti, because there is something energetically captivating and inherently beautiful about it – the people, the city, the spirit. 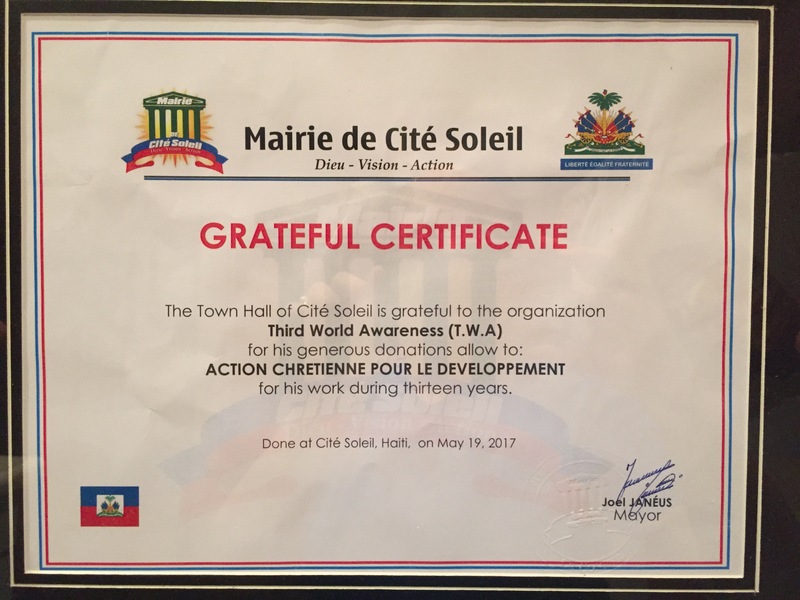 During this trip, we were surprised with a special citation from the Mayor of Cité Soleil for our continuing efforts to help the community. We are humbled to receive this award and grateful for the community opening up their home to us. Thank you to everyone for your commitment, energy and open hearts!!! 2016 – This was the 23rd trip for our grassroot organization. A lot of exciting news and updates! This year, we organized a couple of new programs at our school in Cité Soleil. We organized a soccer program and tested out a creative workshop that included dance, art, mime and photography. We also supported the local community to begin building a shelter and small orphanage for displaced children. The school in Canaan now also has a roof and we are keeping our fingers crossed for future developments. This was a good beginning of many exciting projects! We’ve learned a lot and can’t wait to see how it evolves. Thanks to all who participated and generously donated to this cause! 2015 – This year we had the smallest group attend the grip, but we’ve always believed in “quality over quantity.” Our dedicated volunteers worked at the Mother Theresa’s Malnutrition Clinic where we helped care for the children, sang, danced and played with them. We also volunteered at the Cité Pelé hospital where the patients were treated to complimentary massage treatments by our RMT volunteer. We unfortunately didn’t have the funds to complete the school in Canaan, but the good news is that we were able to finish the schoolyard in Cité Soleil 🙂 The pavement was painted with games and a basketball court which the kids loved! During this trip, we were invited up to a mountain village about an hour north of Port au Prince where we spent an evening there watching a local play about Christopher Columbus arriving in the Caribbean. It was followed by a wonderful concert featuring a violin, guitar and a Haitian drummer. Another highlight of the trip was when we took part in the Haiti’s Flag Day celebrations down on the dock in Cité Soleil. It was an unforgettable celebration and we’re honoured we were able to be part of it. 2013 – Watch our video montage of our trip! 2012 – Eighteen people including two university students participate in this trip. A large number of donations arrive with the volunteers this year and most of the group spends there time at the Malnutrition Clinic with small children. Electrical wiring begins in the school in Cite Soleil. 2011 – This was the year after the earthquake. Tents were everywhere and new volunteers were shocked with the devastation. There was a lot of work to be done. Our services were well received at the Malnutrition Clinic and The Brothers hospital in Cité Pele. We also saw the property for a new school in Canaan and broke the soil at the site, and opened the door to new hope. 2010 – Twenty-eight participants come in the year after the earthquake. Repairs needed to second floor of school in Cité Soleil that was under construction. This trip featured a wonderful day at a open field orphanage in rural area. Games, sandwiches and songs fill the day. 2009 – Land at the back of the school in Cite Soleil is purchased – 10 feet high cement block wall is built around it for safety. Our volunteers continue to allow themselves to be used in whatever way necessary. 2008 – We continue to receive enough money to keep our projects going. The malnutrition clinic continues to be a focus for most our of volunteers. 2007 – The school building begins to take shape in Cite Soleil. There will be about five classes and hopefully a second floor. The weeks end with a basketball game against Cite Soleil. Both teams sing the national anthems before the game. Quite formal! 2006 – More students from York University and University of Toronto join us. This year our participants also have a basketball game against the Cite Soleil Basketball team. Unfortunately, we lost. 2005 – This year work begins on the Cite Soleil kitchen. Community lunch is cooked by local women and the community come for rice and meat and gravy. Volunteers join us this year from the Muslim Student Association of the University of Toronto and from York University Black Students Association. 2004 – Ten of the previous years participants return to Port-au-Prince as the political situation is getting edgy. Should we be there? A school in Mississauga give us 40 backpacks full of school supplies. 2003 – Twenty two people to Port-au-Prince for the first Haitian Experience. Many are shocked with the conditions in which people are living. It is so much worse than the ghettoes in Kingston, Jamaica. 2002 – Twenty one people travel to Kingston, Jamaica. We add Maxfield Orphanage and Dare To Care to our work centres. Social life at night with Jamaicans give us a different flavour. 2000 – A smaller group of ten people travel to Kingston, Jamaica. This year marks the beginning of mostly university students participating and most are working in Trench Town at Operation Restoration. 2001 – Twenty, mostly university students, travel to Kingston, Jamaica. It is the rainy season now and there is a downpour every day. 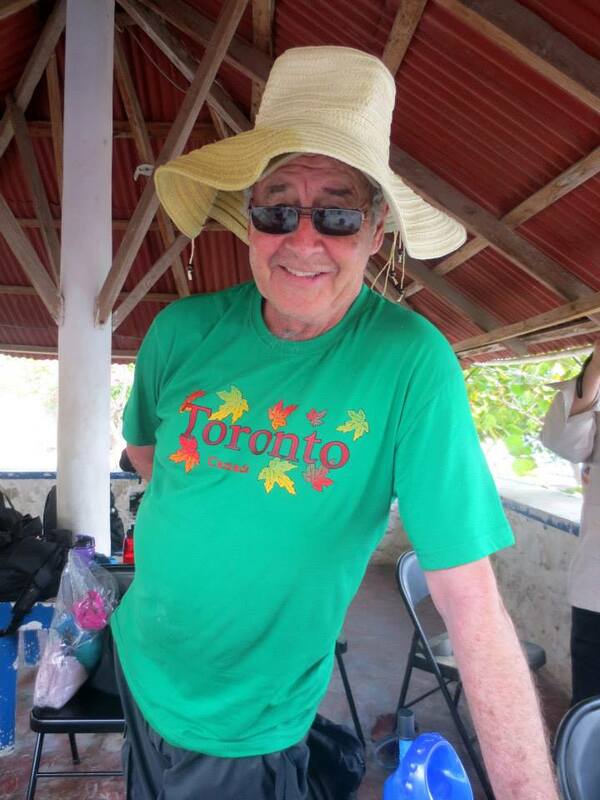 A volunteer gets us a special night in Negril. 1999 – Eighteen people went to Kingston, Jamaica and we stayed at the Thomas Moore Convent. We began our mornings with circles of affirmations. This year included work at the Marigold Orphanage. 1998 – Twenty-two people back to Kingston, Jamaica. This was our first venture into Trench Town where many students worked at Operation Restoration. We ended the trip with a traveling Godspell performance to all our locations that year. 1996 – Sixteen people traveled to Kingston, Jamaica. The trip featured the painting of an elementary school in Paine and a mine & juggling act in River-ton City. 1993 – Fifteen people to Esteli, Nicaragua. The students lived and worked in an international orphanage called El Dia. The Portuguese participants picked up Spanish very quickly. 1992 – Twenty-eight people to Kingston, Jamaica. We stayed at the Immaculate Heart Convent and we began to travel by public transit for the first time. It was scary but exciting to be on the street and buses with the people. 1990 – First trip to Kingston, Jamaica. Twenty-eight people including six teachers and one parent participated in this inaugural trip. It was to be the beginning of many trips – unknown at the time.